If you’re absolutely sure about getting a credit card from AEON Credit Service, check out 3 of the best AEON credit cards that we’ve shortlisted. 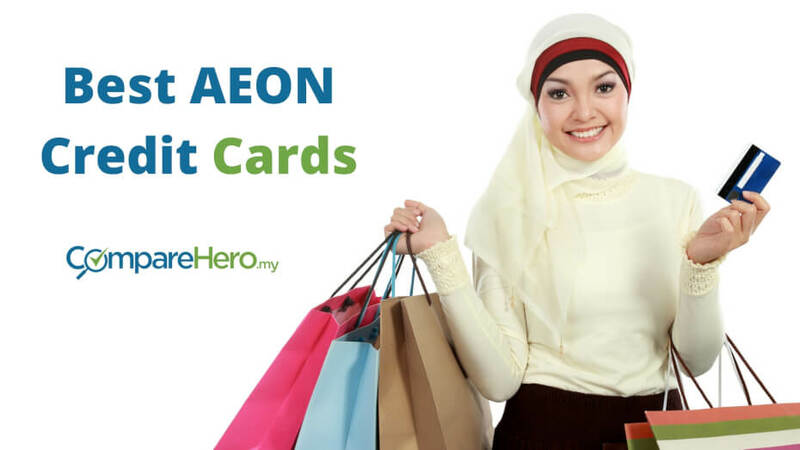 Find out what are the reasons for you to choose an AEON credit card. All these cards have different fees and benefits so depending on your personal preferences, you may find your own top 3 cards a bit different than ours. The ranking below is based on the most benefits for the lowest price possible, and with the minimum required income. 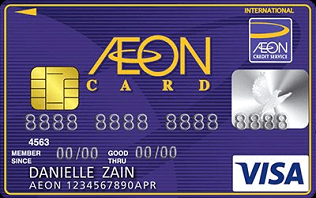 With this credit card you are able to experience the most benefits that AEON has to offer. If you’re a traveller, this card offers you the extra luxury to enjoy access to KLIA Plaza Premium and a complimentary travel insurance of up to RM 1,000,000. Furthermore, you are also able to earn points while spending overseas, locally, on petrol and on retail. So from frequent travellers, shopaholics to businessmen, this credit card will probably suit the needs of almost everyone. Below we will list all the information you need to know before applying for this credit card. You can also earn 5% cash rebates at AEON BIG Thank You Member Day on 28th of the month, capped at RM100 per AEON Credit Card account per month. The AEON Classic Card is the perfect card for those with a lower income and won’t use their credit card on a regular basis. With a low annual fee and a low required minimum monthly salary, it can be a very beneficial card to have. Even with the lower fees and charges, you’ll still be able to earn some extra benefits. Namely for every RM1 you’ll spend on overseas, petrol and retail, you’ll earn 1 point which you can redeem for a wide range of rewards. So if you’re searching for a basic credit card that offers great values, this might be a perfect option for you. Earn 5% cash rebates at AEON BiG Thank You Member Day on 28th of the month, capped at RM100 per AEON Credit Card account per month. The annual fee is RM20, this amount cannot be waived. 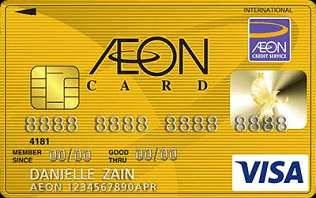 The NEW AEON Gold Card offers a lot of rewards and benefits for the card’s holder when they spend money on every day’s shopping. With this credit card you’re able to earn points and cashback in several sectors, from overseas to local retail and even for petrol. Put all the AEON MEMBER days in your agenda and make sure to make the big purchases on this day as your rewards will be doubled. Enjoy 2.5 extra points for every RM 1 spent at AEON stores during AEON MEMBER day. As mentioned above, our top 3 AEON credit cards is just for your preference. Check out our free online comparison tool today to discover more personalised credit card options based on your spending habits!